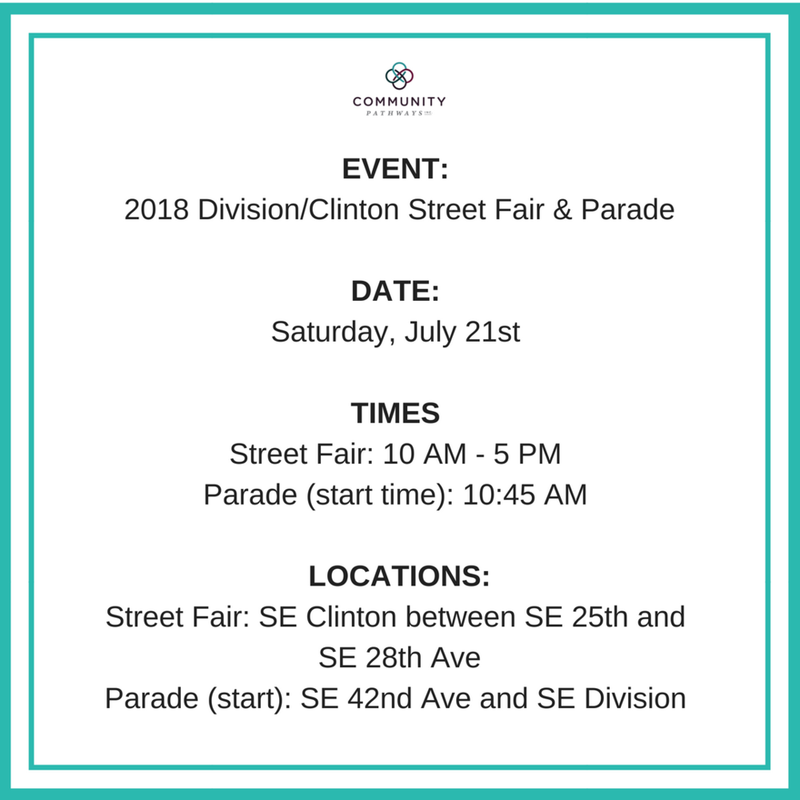 2018 Division/Clinton Street Fair & Parade — Community Pathways, Inc.
Community Pathways is a Support Sponsor of the 2018 Division/Clinton Street Fair & Parade being held on Saturday, July 21st. As new kids on the block, Community Pathways is excited to join our neighbors in celebrating this annual event. We look forward to connecting with our neighbors and community in SE Portland. Be sure to stop by our booth. We'd love to say hello! As a sponsor of the street fair, Community Pathways is glad to help promote Division/Clinton as a great place to live, play and work for people of all abilities. We are grateful for this opportunity to spread the word about who we are and what we do to assist people with disabilities to live empowered, self-determined lives in the community. You don't have to be a resident of the SE Division/Clinton area to join in on the street fair activities. We hope you'll join us for this fun community event!